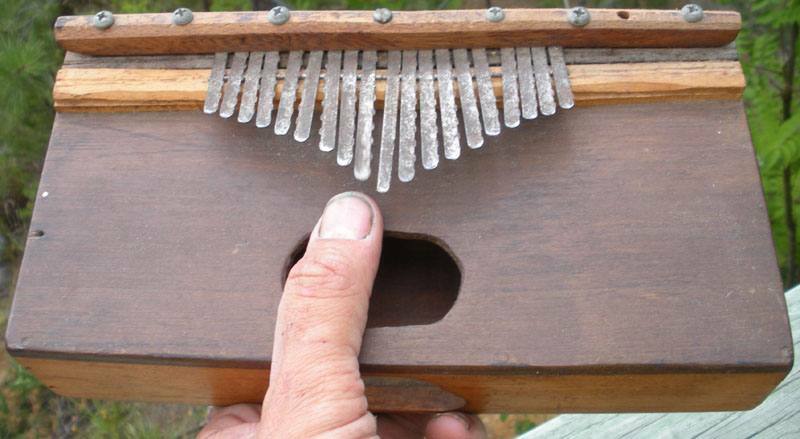 Some tribes call them kalimba, or so I heard in the 1970s. Someone came up with the English name "thumb piano" which is just wrong on so many levels, although they are played with the thumbs. This one is not traditional at all. The tines are pieces of recycled band saw blade, the soundboard is poplar, the other woods scraps from other projects. Tuned in D to go with all the other instruments I own in D.